I recently found a GREAT tool that I have began using, and I just had to share with you! 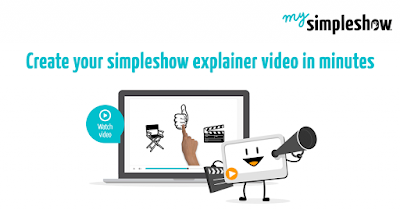 I learned about Mysimpleshow from another great website called Cult of Pedagogy. I'm always on the lookout for ways to incorporate videos and any kind of technology into my lessons. My students have used GoAnimate, Powtoon, Power Point, etc. but most of these tend to be time consuming, and there always seem to be issues that arise in the process. With MySimpleShow, this was not the case! Step 1- Draft- In this step, you choose whether the video you want to create is Professional, Educational, or Personal. Of course, you would choose educational. Then you choose what the main purpose of your video is: educate somebody, introduce a topic, summarize a topic, or discuss a topic. Next, you choose your "story line." You can choose a blank template or one of the ones that are listed. I chose to create my own. Once you choose your story line, you move to step 2. Step 2- Write- This is where you write your draft. Each box explains what you need to include and also gives examples. Step 3- Visualize- Using key words from your text, the program automatically selects pictures that you can include in the video, or you can choose to upload your own. The picture above is from the video that I created for our team for Meet the Teacher night. Step 4- Finalize- This is where you will choose how you would like the text read. You can use their Text to Speech option, or you can record your own voice. I actually had a student read mine, and it turned out pretty good. 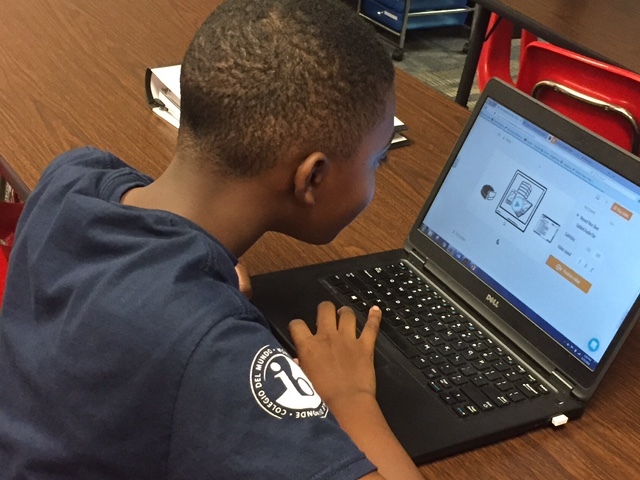 I'm planning to have my students use MySimpleShow to analyze a book we're reading and can't wait to see how it turns out. What video programs have you used? I'd love to hear about it in the comments!